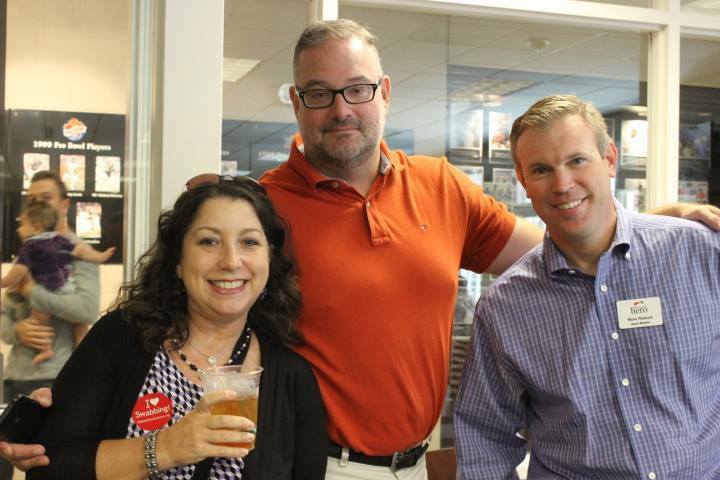 Founding board members Michele Bresnick Walsh, Erik Sauer, and Steve Nuetzel. In March, Wells Fargo announced the company donated $6.2 million to local Maryland nonprofits, schools, and community organizations last year. With this announcement, all of us at There Goes My Hero wanted to take a moment to celebrate the support Wells Fargo has provided the Baltimore community, and also highlight the contributions we have received in the last six years. There Goes My Hero is pleased to announce we have received $2,500 from Wells Fargo in support of our focus to add more people of non-European descent to the bone marrow registry. Due to under-representation of diversity on the registry, patients of African-American, Asian, and Latino backgrounds have more difficulty in finding life-saving donors. As a result of Wells Fargo’s donations, Hero has had the resources to engage the ethnically diverse communities in the greater Baltimore area to host bone marrow drives and encourage volunteerism. In the past months we have scheduled or hosted drives at a Black History Month event, Hood College Community Service Fair, Asian Heritage Festival, and traditionally black colleges such as Coppin State University, Morgan State University, and Bowie State University. Although Wells Fargo is committed to making monetary donations to nonprofits, they also foster a culture of volunteerism and service among their staff. We are honored to have had Steve Nuetzel, a financial advisor for Wells Fargo Advisors, serve as a board member and President of the Board. Steve joined as a founding board member because of his friendship with Hero’s founder, Erik Sauer. Steve was one of many friends and family who supported Erik during his illness and treatment, and this support was the inspiration for the organization. As one of the longest-serving board members, Steve has helped shape the mission and vision of Hero. “I have stayed on the board because I believe we are making an impact in the lives of blood cancer patients and their families more and more each year,” says Steve. Wells Fargo Financial Advisor Steve Nuetzel receives the CAM Wagner Award for service and dedication to There Goes My Hero. Since our creation in 2009, There Goes My Hero has added over 20,000 people to the bone marrow registry, found 31 life-saving matches, and created several annual fundraising events including Heropalooza and OctoberTaste. 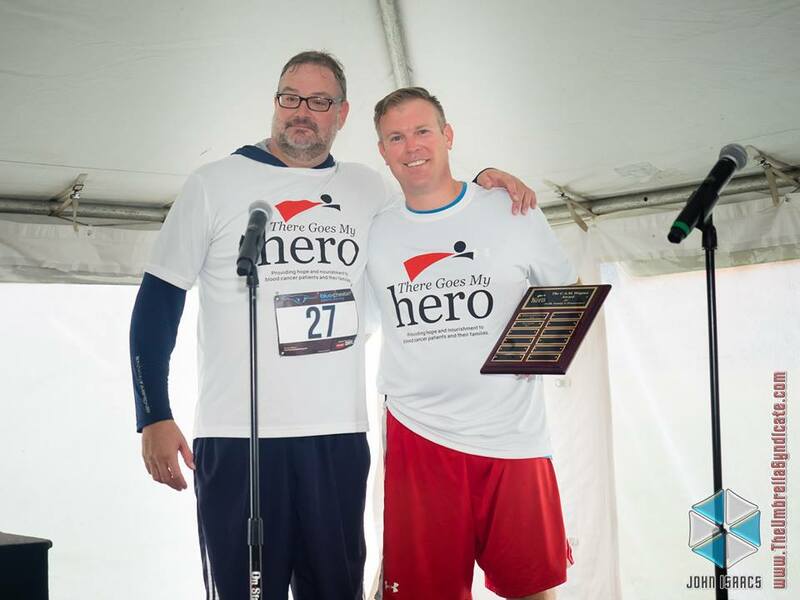 Steve believes that Hero has truly become “a network for those who do not have a network.” We strive to provide valuable resources for those impacted by blood cancer through our blogs, websites, and patient registry drives. Wells Fargo has always been and will be a leading force in the world of workplace giving. There Goes My Hero appreciates the unique generosity of the team at Wells Fargo and is excited to continue our partnership as we work to build the bone marrow registry, save lives, and make a difference for families battling blood cancer. “I have been fortunate that my asks for support from the Wells Fargo Advisors and my local management team have been honored,” Steve adds. , “I am appreciative of their [Wells Fargo] support of me and my involvement on the There Goes My Hero board”.